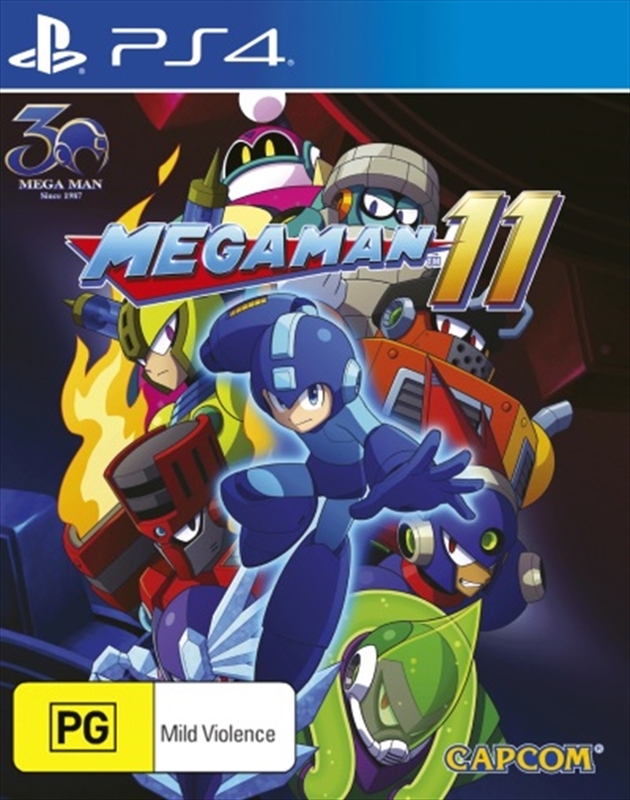 In the events of Mega Man 11, long-time mustachioed series villain Dr. Wily is back to his mischievous ways and has had a true flash of evil genius, deciding to invest in an ambitious idea from his time at Robot University where he studied alongside Dr. Light, Mega Man's benevolent creator. Dr. Light, who also recalls this inventive idea, decides to upgrade Mega Man with this powerful prototype known as the Double Gear system, installing it into his circuits and expanding his abilities for the greatest fight yet for everlasting peace. In a new trailer released today, available on the Capcom Press Centre, fans can get a first look at the all-new Double Gear system as well as formal introductions to two of the game's new Robot Master bosses: the egotistical brick-building Block Man and the electrifying speed demon Fuse Man. The veteran development team behind this new entry has retained the series' core gameplay gamers have come to know and love. Jump, slide, shoot, and more through challenging stages and Robot Masters. Defeating them and absorbing their powers is the heart of the game and swapping between all the new powers is now easier and faster than ever through a useful weapon wheel. The Double Gear system in Mega Man 11 adds a unique new twist on the satisfying platforming action, offering options to enhance Mega Man's speed and power on the fly. Speed Gear - Introduces the ability to slow the flow of time, a useful tool for many situations such as navigating tricky platforming sections or avoiding fast-moving enemies or obstacles. Power Gear - Allows players to charge the Mega Buster to a new level, and weapon-based abilities become even more robust. Double Gear - When at critical health, Mega Man will gain access to a hidden ability to activate both gears simultaneously, unleashing maximum power and allowing for deft maneuvers in the direst situations.